TruScreen’s Executive Team offer a wealth of knowledge and expertise to the business, including sales and marketing, commerce, medicine, science and research and development. Mr. Martin Dillon’s particular expertise is in sales and marketing of women’s health products. More importantly, Mr. Dillon was previously responsible for the development of TruScreen’s initial commercialisation and global roll-out of the distribution network. 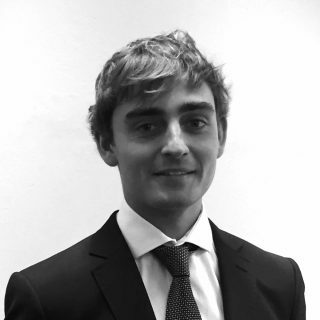 As a previous Chair of the TruScreen Operations Committee, Mr. Dillon has a good working knowledge of the production of the product and its development and registration processes. He knows and has a working relationship with other TruScreen specialists mentioned below, and key contacts in the target markets, particularly China and Korea. Mr. Dillon studied Law at Sydney University and has held honorary roles for the Australian Defence Department, the Australian Olympic Committee and Surf Life Saving. Dr. Jerry Tan holds degrees Commerce and Medicine and is a qualified Gynaecologist from China. He is fluent in English and Mandarin. Dr. Tan has extensive knowledge of the TruScreen product and has been involved in establishing the market in China, including, identification of distributors, product registration, market evaluation, and the conduct of clinical trials. In addition to his overall role as General Manager Commercial, Dr. Tan heads up the TruScreen operations in East Asia including China, the Philippines and South Korea. 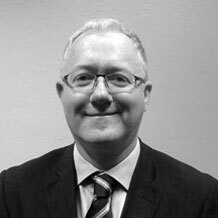 Mr. Paul Curran has a Bachelor of Science, specialising in all areas of Medical Device Licensing, including Quality Assurance for New Product Development, Technical File development and audit and Risk Assessment. He is an expert in the fields of Healthcare Compliance and the control of manufacturing, including subcontractors, for the delivery of a quality assured product on time. Mr. Curran has been involved with the TruScreen product for many years and is responsible for manufacturing, research and development, registrations and quality assurance. Dr. Zhenglin Wang holds a PhD in Laser Physics, a Masters Degree in Optics and Bachelor of Science in Optoelectronics. 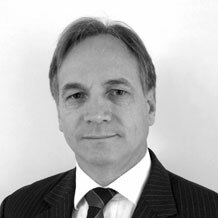 He has been engaged in the manufacture and development of a range of optical technologies including ophthalmic lasers and wavelength selective switch systems for communication technologies. 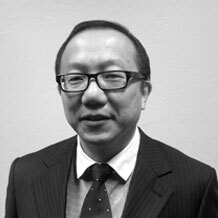 Dr. Wang led the establishment of, and now manages, the new TruScreen Electro-Optical fabrication facility based in the Industry Collaboration Hub at the Commonwealth Scientific and Industrial Research Organisation (CSIRO), in Sydney. Ms. Nicole Melia holds qualifications in Business Administration, and has spent the past 5 years working in management. She is responsible for the coordination of corporate marketing programs, and all matters of corporate administration. She works closely with the Sales and the engineering teams in the management of freight and logistics for TruScreen’s exportation. Mr. James Haindl holds a Bachelor of Biotechnology. His particular expertise is in medical biotechnology most specifically in microbiology, biochemistry, genomics, medical devices and diagnostics. Mr. Haindl is heavily involved with the manufacturing, supply chain management, technical assistance, research and development, product training, and quality management of the TruScreen product. Mr. Haindl also works closely with the medical advisory committee at the Royal Hospital for Women to conduct clinical performance evaluations. After gaining her Bachelor of Medicine and Bachelor of Surgery, Dr. Carolina Velasquez worked in hospitals in Bogota, Colombia before emigrating to Australia. She has recently completed a post graduate diploma in Clinical Research at Monash University. Dr. Velasquez assists in the preparation and conduct of clinical research in Australia & overseas, and in the training of TruScreen’s users in our many markets. In addition, as a fluent speaker in both Spanish and English, Carolina is an important link in our commercial activities in Latin America.